Gargoyles may be hideous creatures, but they serve a purpose: to protect buildings from evil spirits. When you're on the job site, you need protection as well. Not from evil spirits, but from dropped building materials, rain, and falls. For worksite protection, don ... (see full details) (see specifications) #KEN1012856. Gargoyles may be hideous creatures, but they serve a purpose: to protect buildings from evil spirits. When you're on the job site, you need protection as well. Not from evil spirits, but from dropped building materials, rain, and falls. For worksite protection, don't spend a month carving stone gargoyles. Instead, just put on a pair of KEEN Utility 1012856 Flint steel toe shoes. This footwear is ideal whether you're working for the weekend or just working during the weekend. Thanks to the removable dual-density Metatomical footbed design, these gray shoes are anatomically engineered to provide you with excellent arch support and cradle the natural contours of your feet. With these fatigue-reducing features, your feet will be breathing a sigh of relief. The soft footbeds can be removed if needed. The dual-density compression-molded EVA midsoles also provide lightweight cushioning. The compression-molding process adds durability which means you'll be striding in comfort for a long, long time. Since gargoyles are also used as drain spouts to divert water away from medieval castles, it makes sense that this workwear will have some water-resistant properties. The water-resistant Nubuck leather uppers will keep your feet dry in light rains. Nubuck has the softness of suede, but it's considerably stronger and stands up well to the rain. Just don't go intentionally hopping in puddles - these water-resistant shoes aren't entirely waterproof. But the moisture-wicking textile lining will help keep your feet drier by wicking out sweat and other moisture. Since you're no slacker, you're going to work hard in these premium shoes. That's why they've been built with oil- and slip-resistant non-marking rubber outsoles. They'll help keep you upright while preventing breakdown due to oils. The contoured heel locks help ensure a secure, comfortable fit. These safety toe shoes also protect your toes in two distinct ways. The first is the asymmetrical steel toes that provide a roomy, comfortable protection. Add in the electrical hazard protection features, and they meet or exceed both ASTM F2412-11 and F2413-11 I/75 C/75 standards. You'll be protected from shocks and impacts. Complementing the steel toe caps is the KEEN.PROTECT patented toe protection system. The outsoles wrap up and over the toes for another layer of foot-saving protection. Remember: un-smashed toes are happy toes. Whether you're hiking, on the job, or just carving a few gargoyles out of granite for fun, protect your feet in a pair of KEEN Utility Men's 1012856 Men's Gargoyle/Forest Grey Flint Low Leather Water-Resistant Steel Toe EH Shoes. I bought these on a recommendation from a co worker to replace a pair of thorogood composite toes; I was skeptical about the marketing hype of things like L and R foot/toe boxes and all day comfort. I've owned many steel and composite toe boots over the years and when my boss allowed us to finally transition from steel to composite toe foot ware I never looked back; that was until I put these on. I put them on and the weight obviously was greater then the composite toes, but after taking a few steps my feet couldn't tell the difference- that L and R foot toe box? Where was that all of my life??!!? We all have suffered from pinched toes in our boots -- that is a thing of the past with these boots!! The break in period was about 2 hours literally!! ; I'm a bigger guy with a high arch and wider foot, not an easy fit in any shoe let alone safety toes, but these are comfortable and I don't have that need to run home to take them off at all. Do yourself a favor and go down to your local shoe store and get measured or print out a measuring guide to get an accurate sizing and get a pair of keen's - You'll thank yourself for it. I am pleased with this purchase. It is a good daily and work shoe. 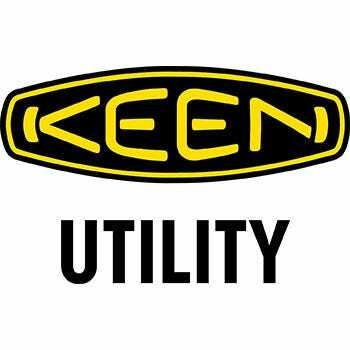 KEEN Utility 1012856 Men's Flint Steel Toe Shoes is being added to your cart.